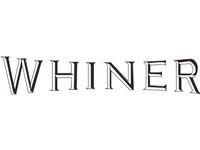 Whiner Brewing Co. is located in the “Back of the Yards” neighborhood of Chicago near the infamous Chicago Stockyards. They received their 30-Barrel/3-Vessel Sprinkman Brewing System in 2015. “For someone who has seen a wide range of brew-houses, I am ecstatic about our 30 bbl Sprinkman Brew-house. Being a numbers guy, it's nice to hit specs on my first batch of beer. I honestly wasn't expecting it to be this easy. When building a brewery from the ground up, there are a number of stress factors. Fortunately brewing beer is not one of those factors with Sprinkman. I am able to devote my attention elsewhere knowing my recipes are going to be spot on. We needed a custom built brewery to fit into the awkward space. Sprinkman delivered and provided one of the best aesthetically pleasing breweries I have ever seen. I am so proud looking around Whiner brewery and seeing the professionalism in every detail. I will gladly promote Sprinkman to anyone looking for a new brew system.